6 − = three Required Please enter the correct value. Our list of the 10 top penny stocks to watch this week included a 288% gainer, which shows you the power of owning penny stocks. You see, penny stocks are perfect for investors looking for quick, strong returns without the expensive initial investments that come with larger stocks or options. Blink Charging Co. (Nasdaq: BLNK), this week's top earner, is a perfect example. Last Friday (May 11), Blink stock surged after the company announced a partnership with the city of Miami, Fla., to install its electric vehicle-charging ports in city garages. Blink's Miami deal came on the heels of a deal with Whole Foods Inc. earlier this month to install similar chargers in store parking lots. Blink's surge shows just how lucrative a small company's stock can be once it signs a major partnership agreement. While these gains are certainly exciting, it's important to recognize that investing in penny stocks is also a risky investment strategy. 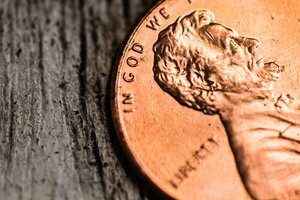 While a few penny stocks have spectacular growth potential that can easily grow your initial investment, many penny stocks lack the solid underlying financials necessary to generate a significant return. To make sure we protect ourselves from any substantial losses from investing in penny stocks, we follow five rules for penny stock investing. Take look at them on the right. We also look for companies with the kind of robust financials that are likely to generate strong returns over time. These are normally companies that have developed a moderate level of market capitalization between $300 million and $2 billion. Our favorite small cap to buy this week is part of the growing semiconductor industry and is on the frontline of one of the industry's most exciting technologies. This stock also has Money Morning Stock VQScore™ of 4 – indicating that it has strong growth potential in addition to solid financials.